New page layout, new attempt at pushing the articles out to the few remaining fans that might still be reading this page after the long pause between the updates. 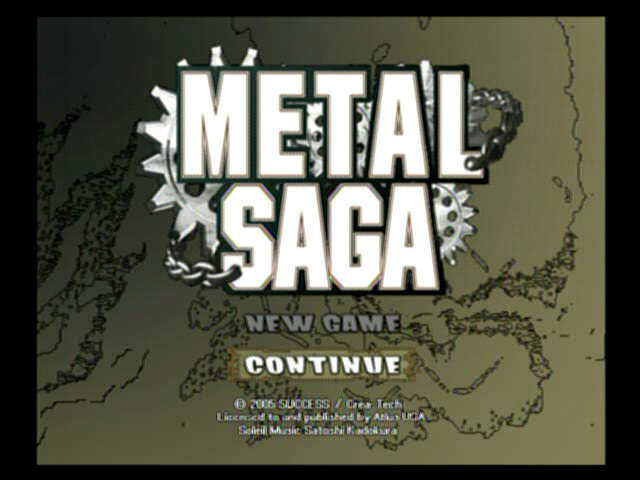 For the first attempt at this serialized fun I am going to write about the most non-linear and directionless game that has ever come out, Metal Saga. 1. It is entirely playable and doesn’t make the user want to stab people with broken Playstation discs. 2. It isn’t published by Square so most of the “this could have been better if they weren’t under such insane deadline constraints” complaints don’t appear. The game just goes right out there and fails on its own right. 3. The need for a guide to play the game isn’t due to the characters being terrible humans and the plot being directionless and vague, it is because “progress” in the story needs to be made by talking to random same looking NPCs who may or may not talk depending on who knows. And seeing as how there was never an official guide published for the game most people only have a vague idea of what is going on at any given time. 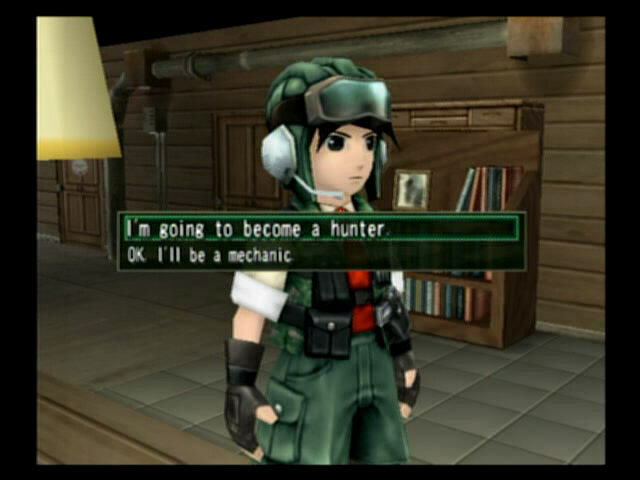 Within the first minute of the game starting it asks the player if they want to give up on the dream of becoming a hunter and roaming the world looking for adventure. 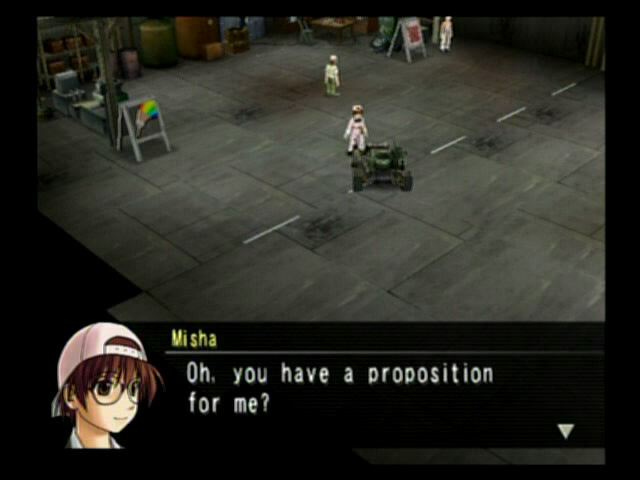 Most first time players will naturally say yes, because if years of training from video games have taught us anything it is that you always say yes to your mother at the start of a game. That is right; most first time players will manage to beat the experience in roughly a minute flat. The only real “challenge” encountered up to this point is spelling the main characters name correctly and holding the controller, so it might be difficult for fans of NASCAR. 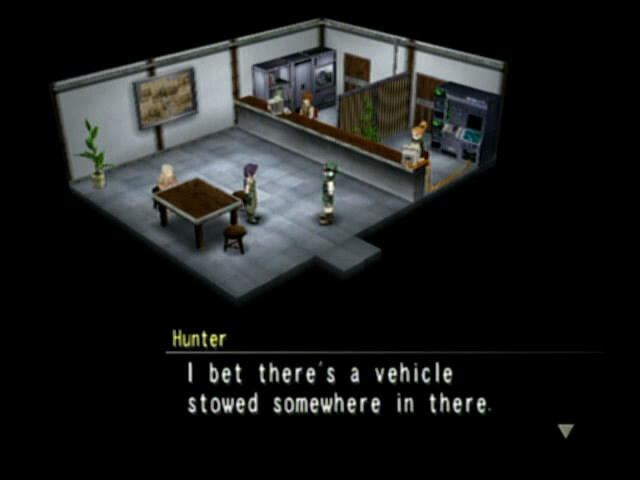 The first quest is for the player to find himself a vehicle to drive around the wasteland Mad Max style in, although the only way that this is ever found out is by talking to people in the hunter’s guild– something that isn’t ever really mentioned or pointed out. Metal Saga kind of takes a lesson from old school video games in that it expects the player to talk to everyone in every town that they come across and explore every corner of every dungeon that they enter, mapping the entire experience so they don’t get lost at any point, which to be honest doesn’t even sound like fun to me. I also played this game for fun. Recruiting other characters to the party is one of the most difficult/easiest things ever. It is painfully easy in such a way that most of them simply need to be spoken to for recruitment, sort of like they are wandering around the world looking for a plot as well as the main character. The difficult part comes from trying to find them. Most of the sprites in the game are blurry and not that different from one another, meaning that noticing that someone might be important to talk to is a dream that will never be realized. Most of this pretty much means that the only reliable way to find new party members is to talk to everyone in the game, possibly over and over again. Tanks are about twice as much of a nightmare to come across. They are almost always found laying around in a dungeon somewhere, completely unguarded and with the keys in the ignition– as if they are waiting for someone to come up and say, “hey, I could probably use this to drive through that entire village built entirely out of tents that I say a mile back.” Even once a tank is acquired it is still kind of a mystery on how it works anyway. It has “tiles” which pretty much act like hit points; but even when these are entirely gone the tank can still take damage, to a seemingly infinite amount. To confuse things further there are enemies that can damage the vehicles directly without doing any damage to the “tiles”. Confused? Try playing any of the boss battles that literally litter the landscape.